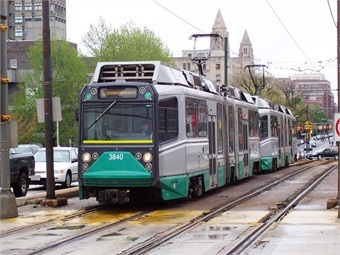 BOSTON — The Massachusetts Bay Transportation Authority (MBTA) is planning to ban all political advertising after an ad critical of Israel placed at one of its station caused a stir over the limits of free speech, The Boston Globe reported. The MBTA’s current advertising guidelines ban political campaign ads, which pertain to specific candidates, parties and ballot questions. The agency also does not allow ads that are considered “demeaning or disparaging” to an individual or a group. Enacting a broader ban on political issue ads would require approval by the Fiscal and Management Control Board, which could occur within two weeks, according to the report. For the full story, click here.